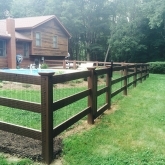 Are you looking for a fencing service for your home or business in Marbledale, CT? That’s where Roots Landscaping comes in! We are here to assist you in all of your fence needs. 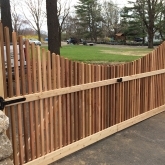 Our qualified staff has experience with many different types of fencing projects. Driving around Marbledale you’ve probably passed by some of our completed projects. Now, we want to help you with your fencing projects and repairs! Being a part of the American Fence Association means we have the skills and tools to help find the right fence for you. We work to provide each client with exceptional work and service. Why do you want a fence? Protection? Privacy? This is the first step in figuring out what type of fence would work best for you. Then we can start to bring your ideas to life. 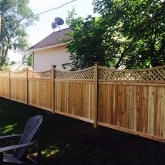 Roots Landscaping is prepared to help Marbledale citizens with any and all types of fencing projects. If you want to learn more about our products and the work we do in Marbledale, please visit here. Roots Landscaping is here to help Marbledale residents with what can be a difficult process to do on your own. There are a lot of components that go into installing a fence. 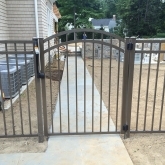 There are also many considerations to think about before starting your fence installation. Roots Landscaping is here to help prepare and execute your fence installation. Our professional staff will analyze your property to see what type of fence would work best for you and your needs. 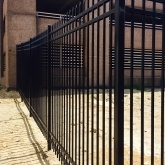 The price will depend on the height, length, and the required material of your fence. It can be hard to know how to care for an old or damaged fence. That’s where Roots Landscaping comes in. Our experienced staff is here to detect any and all problems with your fence, as well as the proper repair steps that should be taken. Wood rot is caused by fungi that eat wood, and it’s one of the most common problems we deal with. Wood rot usually requires professional help, which is where we come in. Your fence may need chemical treatments, patching, repainting, or staining. Sometimes wood rot can do too much damage to a fence and is beyond repair. When that happens Roots Landscaping is Marbledale’s go-to for all fence replacements. It is vital to take care of fence poles as well. Poles may shift in the ground over time. If this happens or if the poles are damaged in any way they need to be tended to immediately. If damaged poles are not fixed it can cause your entire fence to break down. Roots Landscaping is here to help Marbledale residents fix or replace damaged fence poles. If your fence has holes or cracks Roots Landscaping is here to help. It is important to have cracks and holes repaired to ensure the longevity of your fence. The repairs you need will be determined by your specific type of fence. Marbledale, CT, residents can count on our staff to repair any holes or cracks. A fence with missing boards can cause your entire fence to fall apart. So, it is best to replace any missing boards right away. 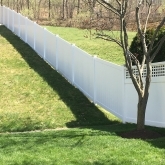 It is more cost effective and easy to replace missing boards than to replace an entire fence. 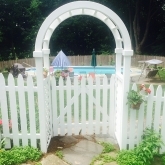 If you live in Marbledale, CT Roots Landscaping is ready to replace missing boards in your fence. Roots Landscaping is accredited by the BBB standards. 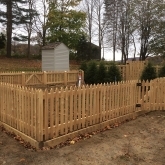 Marbledale, CT residents can look to Roots Landscaping to provide their homes and businesses with the best quality fences and repairs. If you would like more information, feel free to contact us today. Please reach out to us with any questions you may have. We also provide masonry and landscaping services. You can reach us at 203-702-4408.